Brighten up a family living area or add a splash of bold color to a plain bedroom with a vibrant oil painting by Paul Gauguin. 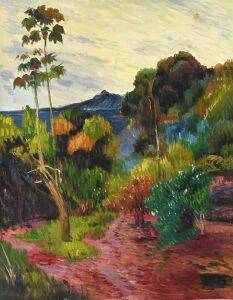 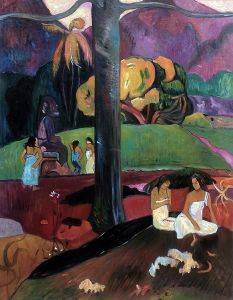 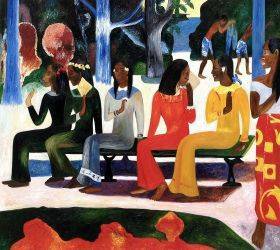 Tropical island scenery and lively people largely influenced much of Gauguin’s work, and when you own one of his oil paintings you can incorporate the same energy into your lifestyle. 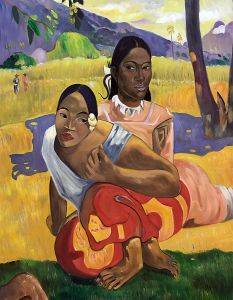 Each of these hand-painted Paul Gauguin oil painting reproductions is a true conversation starter and will instantly become the focal point of whichever room you hang it in. 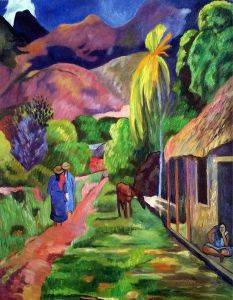 Brighten up a family living area or add a splash of bold color to a plain bedroom with a vibrant oil painting by Paul Gauguin. Tropical island scenery and lively people largely influenced much of Gauguin’s work, and when you own one of his oil paintings you can incorporate the same energy into your lifestyle. 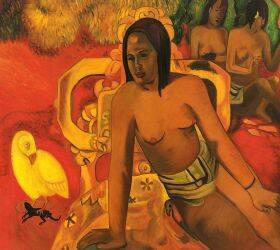 Each of these hand-painted Paul Gauguin oil painting reproductions is a true conversation starter and will instantly become the focal point of whichever room you hang it in. These high-quality reproductions of classic Paul Gauguin oil paintings from overstockArt are hand-painted onto various sizes of canvas. 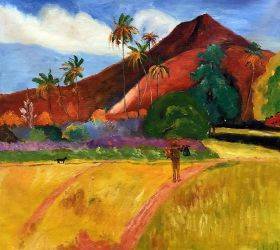 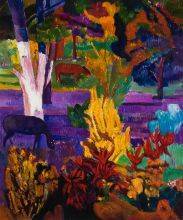 From small 8-inch by 10-inch sceneries to large 24-inch by 20-inch statement pieces, overstockArt carries Gauguin pieces for any style and space. Choose from a number of optional frames to complement your painting as well, including patterned gold colors, distressed ebony wood, and champagne-tinted wood. 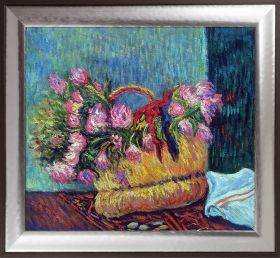 These frames are all durable and very handsome, each one highlighting a different color in your painting. Paul Gauguin was heavily influenced by Impressionism, and his paintings feature unrealistic, bold colors, large flat areas and visible, textured brush strokes. 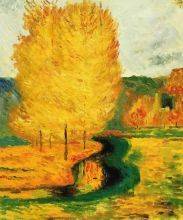 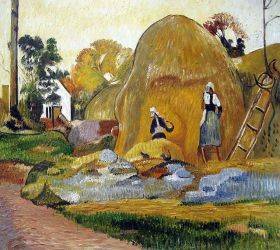 He even worked with Van Gogh for a short time while he was living in France and the two created a series of Impressionist paintings together. 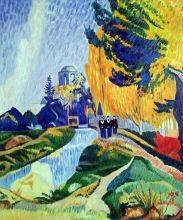 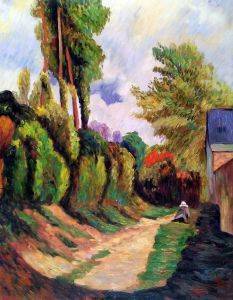 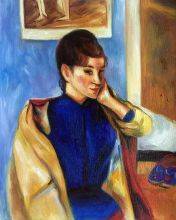 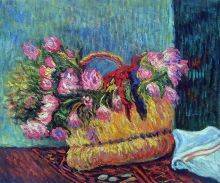 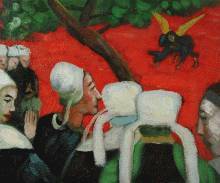 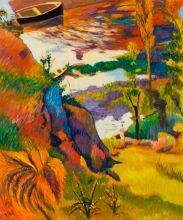 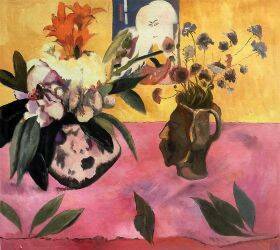 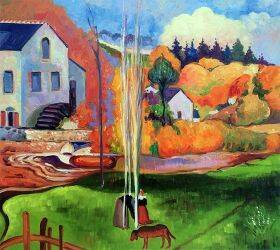 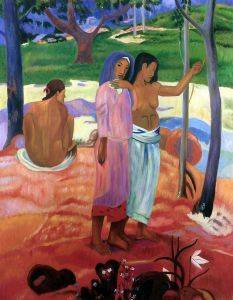 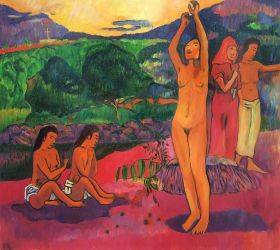 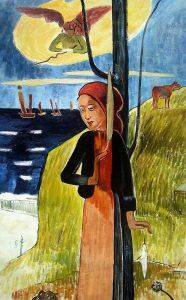 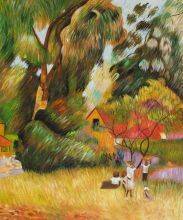 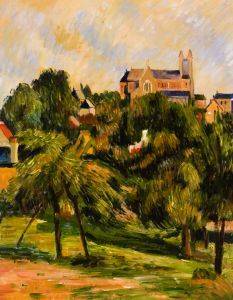 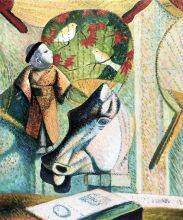 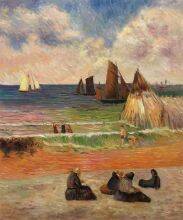 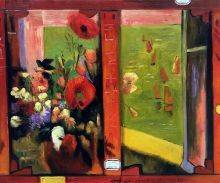 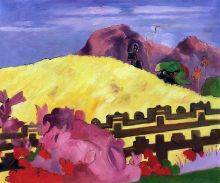 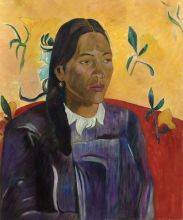 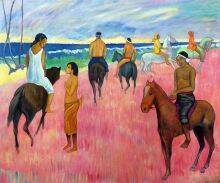 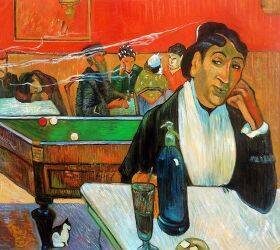 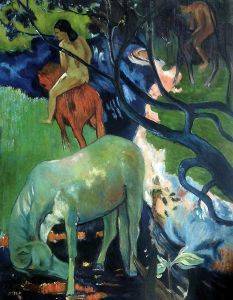 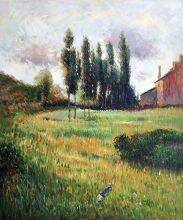 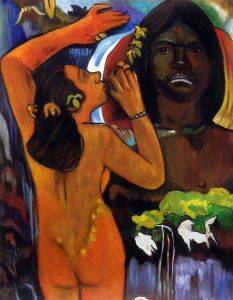 Gauguin’s paintings were also very much influenced by Japanese 2D art, especially works on canvas. 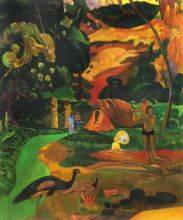 Later in life, Gauguin moved to Tahiti and lived in poverty with the local people there, creating dozens of his most famous paintings. His work at that time reflected his love for the people of Tahiti and the vibrant culture there, full of the bright colors of the island scenery and observations of the people. These pieces have bolder lines and a more energetic feel, and he is most well known for this time in his life. 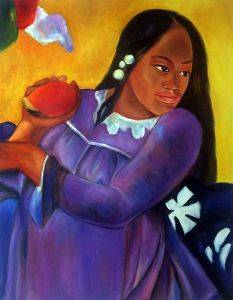 Gauguin eventually died in Tahiti. 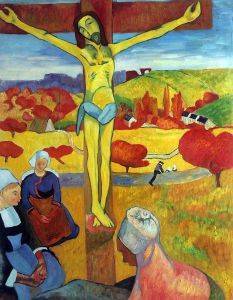 It wasn’t until after his death that his works became valuable and significant, and even today many of his pieces are not offered for sale. 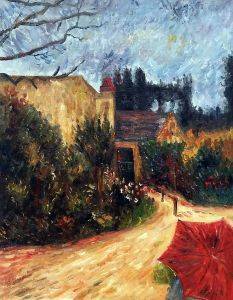 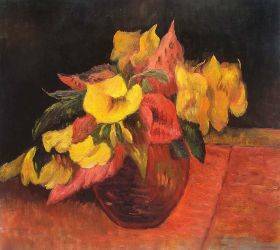 For fans of Impressionism and the French avant-garde, a Paul Gauguin oil painting is one of the most prized collectors’ pieces. 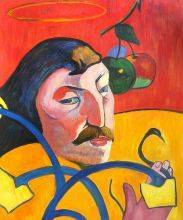 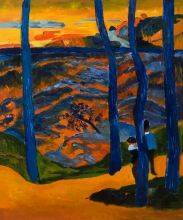 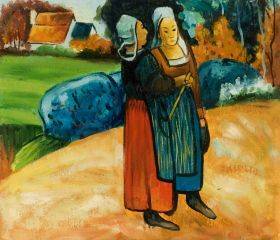 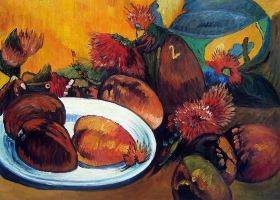 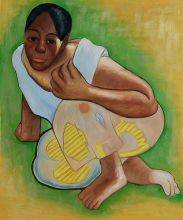 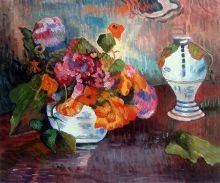 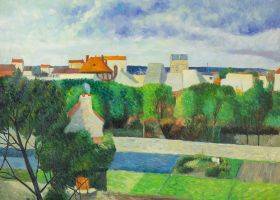 overstockArt’s large collection of Gauguin oil painting reproductions includes many of the artists’ most famous works, and at a great value.